Houston Weight Loss Centers believes and patients agree Smart Lipo is far more effective in the removal of fat*. Smart Lipo achieves quicker results with fewer traumas to our patients*. In addition, there is controversy regarding the effectiveness and safety of Lipodissolve. 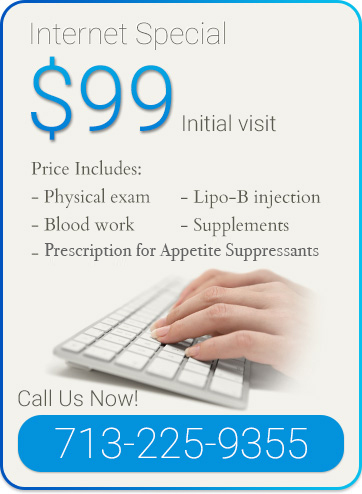 Therefore, Houston Weight Loss Centers will no longer be offering this treatment to patients. What is the difference between Smart Lipo and Lipodissolve? Although Lipoddissolve and Smart Lipo can achieve similar outcomes, they are distinctively different procedures. Though a series of clinical trials and research, SmartLipo has been approved by the FDA. SmartLipo involves a technique involving the use of a tiny laser tip to rapidly dissolve the fat and tighten the surrounding skin almost anywhere in the body. Inserted though a small, non scarring incision under the skin, the laser melts the fat which is then secreted from an incision or removed with a narrow-diameter cannula. Any remaining fat is absorbed by the body and excreted naturally. Lipodissolve involves a series of medicated injections that may melt the unwanted areas of fat*. The chemicals liquefy fat cells by breaking the molecular bonds between them. Patients may have to experience several treatments in order to achieve their desired look*. According to The American Society for Aesthetic Plastic Surgery, the Lipodissolve treatment needs more regulation and study. Despite the fact there is much buzz about this fat melting technology, Lipodissolve is experimental. Since Smart Lipo has a greater acceptance in the medical community, Houston Weight Loss Centers want to ensure the safety and minimize the risk to our patients. What are the benefits from Smart Lipo over Lipodissolve? Through the use of lasers, Smart Lipo interacts dermins though thermal heating and tissue coagulation. The skin is tightened eliminating sagginess and giving it a youthful firmness*. The laser utilized in Smartlipo actually stimulates collagen production*. With Lipodissolve, patients experience a destruction of fat but it does not assist with the overall tone of the body. For most patients, typically only one treatment is required for Smart Lipo where several injections must occur with Lipo dissolve to achieve the same look*.